Scientists in a lab are trying to create new elements, and they get it all wrong! In Wrong Chemistry (W.C.) you change a molecule in order to create new elements out of it. A fun, easy to learn, but hard to master, game, with funny references to the real elements from the periodic table. 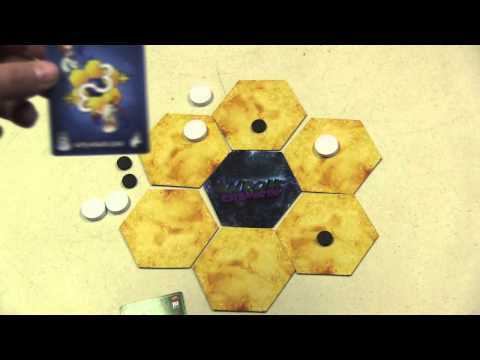 Players alternate rounds, during which they try to change the pieces on the board, in such a way that they can be the same shape represented by the cards in their hands. 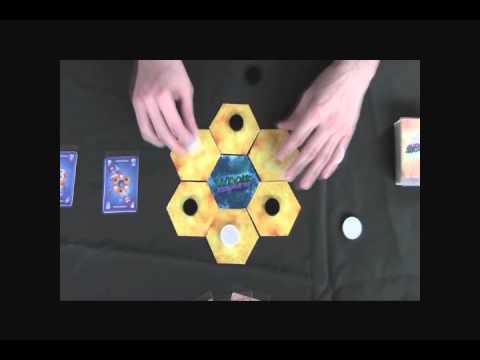 The cards represent new elements that the players discover, and when the board has the proper form, the player reveals from his hand the element he/she discovered and adds the card to his/her pile of earned points. The game ends when a player can no longer draw more cards. The winner is the player with the most points or, in case of a tie, the one that discovered more elements that are next to each other in the Periodic Table of the Elements (chairs not included).